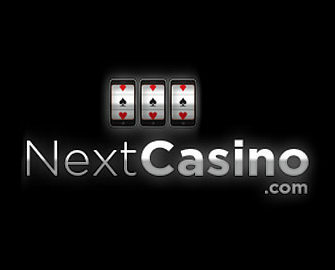 Next Casino – Winter Promo! Ready for a wild ride through the winter themed slots at Next Casino? Then make sure to deposit this week as players can claim Free Spins on deposit three days in a row. And all are on some of the most popular games such as Wolf Cub™ or Troll Hunters. In total, up to 155 Free Spins are up for grabs on three different slots from 24th to 26th January 2018. Get depositing and spinning! It is going to be a wild three days of Free Spins and rewards at Next Casino as all slots in this promotion, running from 27th – 29th September 2017, are jungle themed games. Claim Free Spins on deposit every day, from Wednesday to Friday. For a deposit to qualify for the promotion it needs to be wagered at least 1x on any slots. Wagering requirements are 50x Free Spin winnings. Varying game contributions and restrictions apply, please read the Next Casino Bonus Terms and Conditions carefully. Wednesday, 24th January 2018 – 30 Free Spins on Wolf Cub™ when you deposit and wager minimum €/$/£ 25 on slots. The spins are instantly added. Thursday, 25th January 2018 – 50 Free Spins on Wild North when you deposit and wager minimum €/$/£ 30 on slots. The spins are instantly added. Friday, 26th January 2018 – 75 Free Spins on Troll Hunters when you deposit and wager minimum €/$/£ 40 on slots. The spins are instantly added.